Motorola kicked off the age of Android Wear when it announced the original 360 more than six months before it was finally released. It was a beautiful piece of hardware, but was saddled with an ancient TI OMAP ARM chip and recessed lugs that led to cracked back panels. The second generation device addresses many of the shortcomings of that wearable, but some of them are still staring you in the face. Still, it might be the watch you've been waiting for. 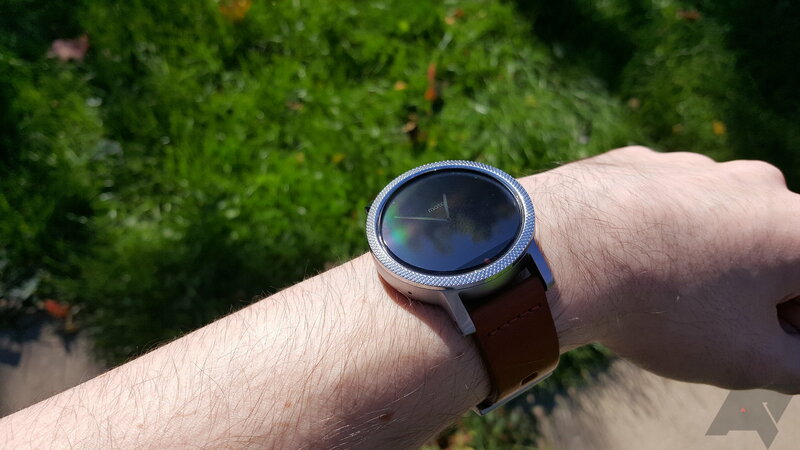 Design The Moto 360 v2 looks like a real watch and it's incredibly comfortable for those with smaller wrists. Sizes Having a larger and smaller version of the watch is great, and a dedicated women's style is nice as well. 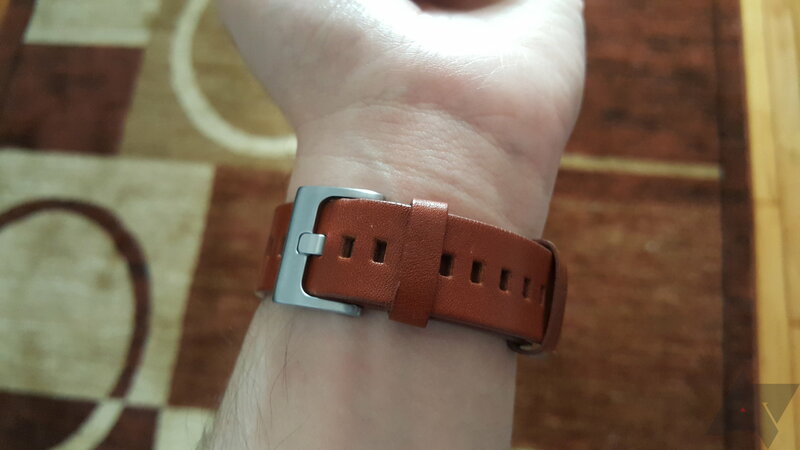 Band The standard Horween leather band is comfortable and should age better than the cheap bands that ship with most watches. Battery life The smaller 360 gets a solid day of battery life with ambient mode on. That's a significant improvement over last year. 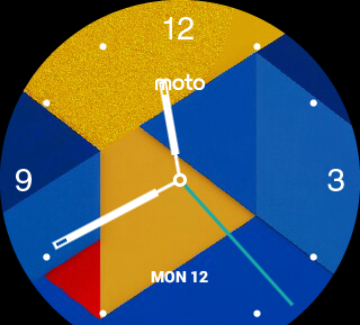 Moto Maker You can design a watch yourself with different colors, bands, and patterns on Motorola's website. Wireless charging Uses Qi wireless, so you might already have several compatible pads around. Display Very bright and crisp with good colors and viewing angles. Crown button It's so clicky. I <3 it. Display again The flat tire lives on, which is unfortunate. 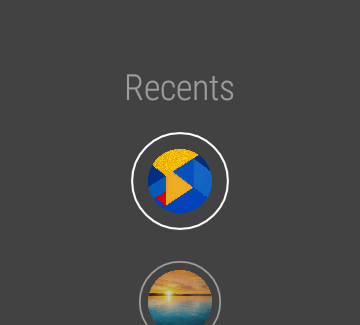 It makes some watch faces look weird, and it's surprising Motorola didn't address this obvious shortcoming. It's also LCD, which isn't as efficient in ambient mode. Price The $300 starting price is high, and only $50 less than the Huawei Watch with its full-circle AMOLED display and larger battery. I don't know if smart watches are a good value for most people at that price anyway. 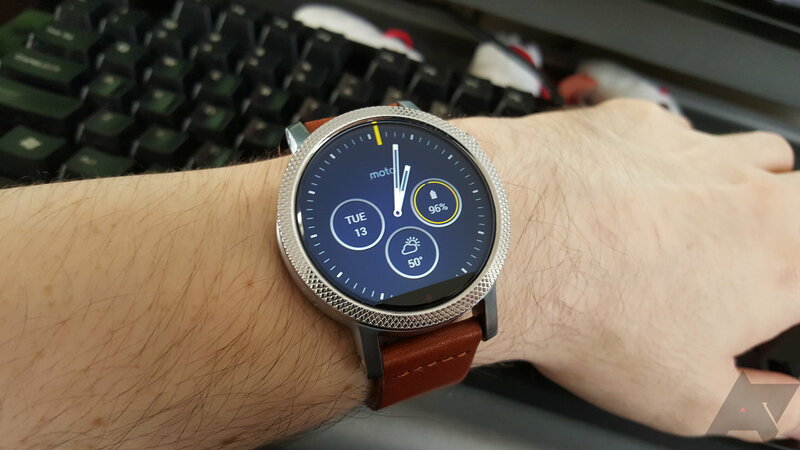 The new Moto 360 still looks quite a lot like the first-gen device. The body of the watch is a flat disc with almost no bezel, but the size of the body varies. There are two versions of the new 360. One is 46mm, just like the first generation watch. There's also a 42mm version available in both men's and women's styles. As a guy with small wrists, I was very interested in the smaller watch, and that's the one I've had for testing. Keep that in mind as all my observations are based on the smaller watch. Perhaps the most striking change to the second 360 is the addition of more traditional external lugs for connecting the band. The lugs are angled down and actually go past the bottom of the watch just a hair. 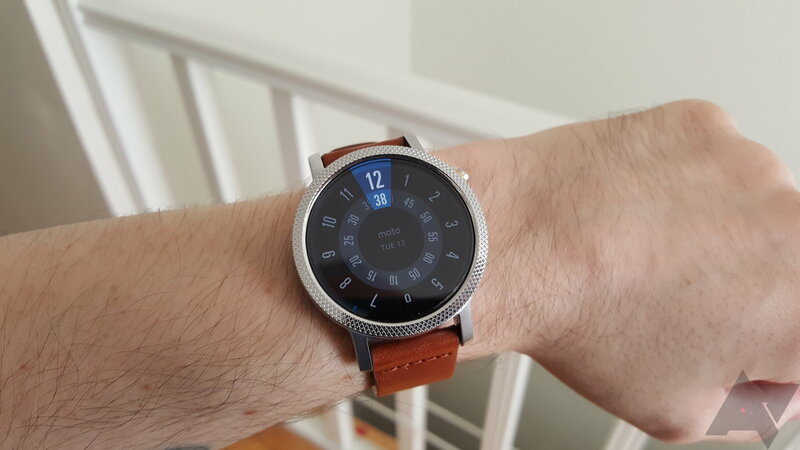 This helps to compensate for the height of the Moto 360 (11.4mm for all models). It's a bit taller than a "real" watch, so having the band connect to the watch toward the bottom makes it fit more snugly. It's the same thing accomplished by the original 360 by basically not even having lugs. If you look at a real watch (even one with wider lugs), the band connects very close to the main body of the watch. Most Android Wear watches fill in the space between the lugs on each side to fit more components. This pushes the connection point for the band out a few millimeters, meaning the watch doesn't sit as comfortably on the wrist. The Moto 360 is much more like a real watch in this respect. Even on my small wrists, there's no gap between the lugs and my arm. The round body also avoids hitting all my bony wrist protuberances. Again, I'm using the smaller 42mm version, but it's by far the most comfortable Android Wear device I've worn. The crown button has moved from the 3 o'clock position to 2 o'clock. 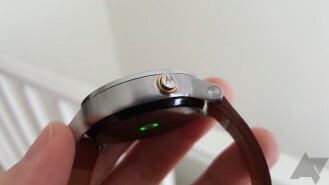 Motorola says this will prevent it from being mashed by the back of your hand when bending your wrist. It also happens to be a more natural place to reach for the button with your other hand. The button is aluminum and has a delightful tactile click when you press it. It's really a joy to use. There's also a tiny Motorola logo inscribed on the surface of the button. It's the little things. Oh, and props to Motorola for continuing with its tradition of bone-rattlingly strong vibration motors. You won't miss any notifications or alarms with this watch. The only part of the watch that's plastic is the bottom. That's where you'll find the optical heart rate sensor, and the plastic seems thicker and more sturdy than last year's watch. It probably helps that there aren't cut-outs for band attachments in it. The heart rate sensor works okay. It's not very accurate when you're moving, and there's more variation in readings than there should be. I've never really used an optical sensor that I thought was good, so this one isn't unusual. 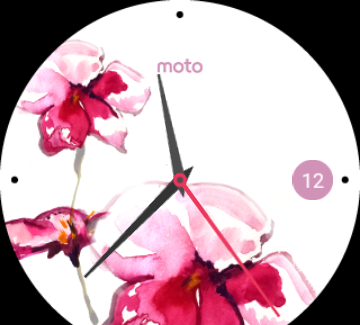 When ordering the Moto 360 from Motorola, you have the option of customizing it in a few ways. You can keep it at the base price ($300 for 42mm, $350 for 46mm, and $329 for women's 42mm) if you stick with a leather band and plain black/silver body. The gold body is $30 extra, and a metal link band bumps the price up $50. The bezel is also customizable with a chamfered edge in any of the three body colors at no additional cost, or you can get a rad micro knurl pattern for $20 (or a slightly different micro cut on the women's). My review unit has the knurl bezel, and I think it looks really classy. It adds an interesting detail to a design that otherwise does look beautiful, but in a sterile sort of way. I think the overall shape of the new Moto 360 is the most attractive of any Android Wear watch yet. This is merely my aesthetic judgement, but I can understand those who like the Huawei Watch more. Note: we're also working on a detailed comparison of the Huawei Watch and 360. 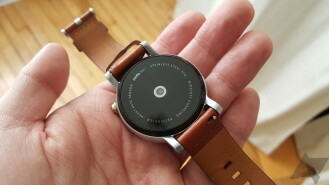 Motorola has again gone with Horween leather for the Moto 360's default band. That's the one I have, so I don't really have any insights regarding the $50 upgrade for the metal one. There tends to be a bit less variation with metal bands, so if you're into that look, it'll probably be fine. Most Android Wear devices ship with a somewhat mediocre "genuine leather" band. That's the third highest grade of leather behind full grain and split grain. Horween doesn't make any genuine leather products, which tend to vary in quality significantly from one manufacturer to the next. 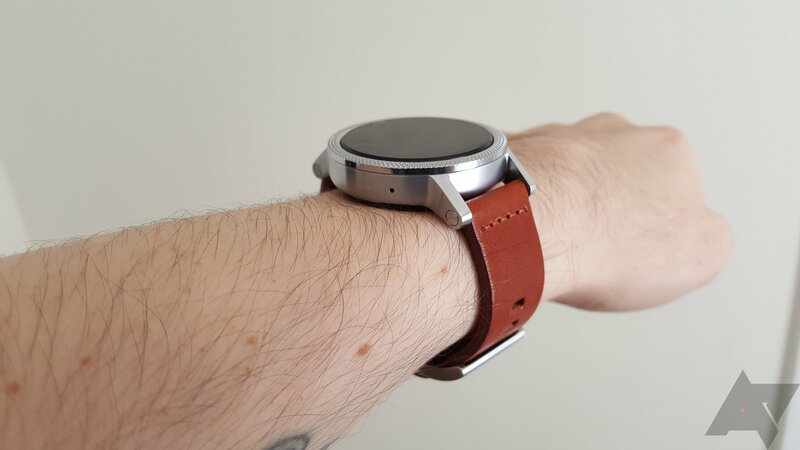 The leather band on the Moto 360 is thick and attractive. It's pretty stiff for the first few hours, but it breaks in very nicely. 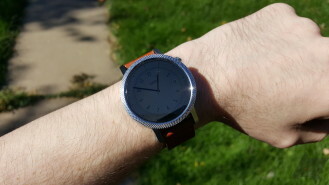 I liked the Horween leather band on last year's Moto 360. It was very soft and comfortable, but as time went on it became clear it was a little too soft. It had an almost spongy quality that caused it to crease deeply after a few months. This time the leather appears to be wax treated, just like the back of the new Moto 360. This makes it a bit more durable, and it definitely has a smoother quality than a lot of high-end leather, but I don't think that's a bad thing. The buckle is pretty generic. The hardware is sturdy and doesn't rattle around at all. I still prefer more modern folding clasps, like the one you'd find on the ZenWatch or Smartwatch 3, but this one is good for what it is. The Moto 360's band is overall one of my favorites on any Android Wear Watch. I think it's also likely to look better than all the others after a little wear. Genuine leather tends to not age as well as more expensive leathers. Perhaps the most common complaint about the original Moto 360 was the so-called "flat tire" LCD display. Rather than being fully round, the screen had a chunk missing at the bottom. This year's watch has the same design foible, and the reasoning is the same. 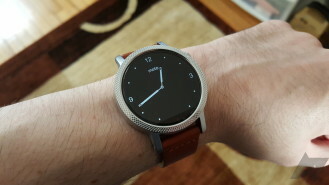 Motorola wants to keep he body of the watch as compact as possible, and the light sensor and display drivers have to connect someplace. Therefore, the bottom sliver of screen is dedicated to those components. On one hand, I totally get the rationale. The flat tire allows for the Moto 360 v2 to have the very watch-like proportions that make it so comfortable to wear. However, that missing bit of screen is annoying. Some watch faces take the flat tire into account, but many don't. It looks incredibly janky when the "6" at the bottom of your watch is cut in half. Devices like the Watch Urbane and Huawei Watch have full circle display, but they use AMOLED and have slightly larger frames for the electronics to connect. I think everyone was expecting the flat tire to be gone this year—as if it was simply a stopgap measure last year. The fact that we're still looking at it means this is a more significant engineering problem than anyone expected. I wish Motorola had been able to do something about the flat tire, but it's not the end of the world. 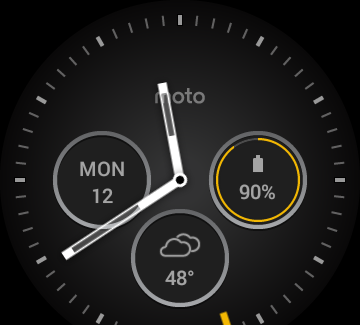 Plenty of watch faces still look good and you don't notice it so much after a while. The edge of the screen has a subtle beveled edge that slopes down to meet the body of the watch. Last year's Moto 360 had the same feature, but it was much more pronounced and caused an odd optical diffraction effect from certain angles. That's still present on the new 360, but it's greatly minimized. Now that I've made my displeasure regarding the flat tire clear, let's talk about the display's other aspects. It's actually pretty great overall. The two watches have different resolutions, but only slightly. The 46mm is 360x330 and the smaller one is 360x325. 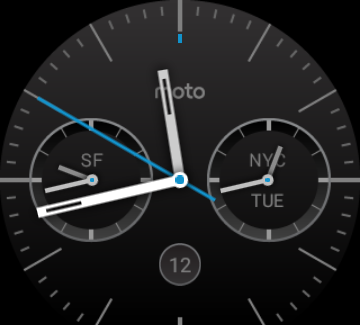 Yes, a whole five fewer lines on the small Moto 360. The smaller screen on the 42mm (1.37-inches) works out to a pixel density of 354 PPI. The larger watch has a 1.56-inch LCD and those five extra lines of resolution get it to a density of 313 PPI. 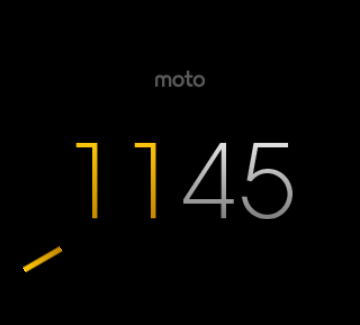 At normal watch viewing distances, the Moto 360's screen looks excellent. It has bright colors, crisp lines, and the viewing angles are perfect. There's an ambient light sensor, so you don't have to mess with the brightness level at all. The active display gets bright enough to be legible outdoors, but ambient mode is only barely visible. It's easier to see than most other watches outside, though. 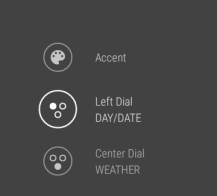 Since ambient mode is actually supposed to be used on the new 360 (unlike the original), Motorola made a few changes to it. It's no longer a gray scale image, and the screen actually stays on. The original 360 had nice shading and smooth lines in ambient mode, but it would still shut off if the watch was at your side for long enough. To improve battery life, the ambient mode on the 360 v2 is just plain black and white, and it has no anti-aliasing. The lines tend to look slightly jagged up close because of this. Some other watches (eg. the ZenWatches) do the same thing. It doesn't really bother me, but I've seen others complain about it. People were pulling hard for the Moto 360 last year, but it was the merely okay battery life that spoiled the party. It wasn't terrible, but Motorola had to make a lot of sacrifices just to get that far. This has been addressed in the second generation watch, which gets completely reasonable battery life compared to other watches. The first Moto 360 notably didn't ship with ambient mode enabled. It was the only watch to be configured that way out of the box, and turning it on would drop battery life from about 20 hours to maybe 12. This only got worse as the device was updated too. The new 360 isn't saddled with that OMAP relic, so it's much more efficient. 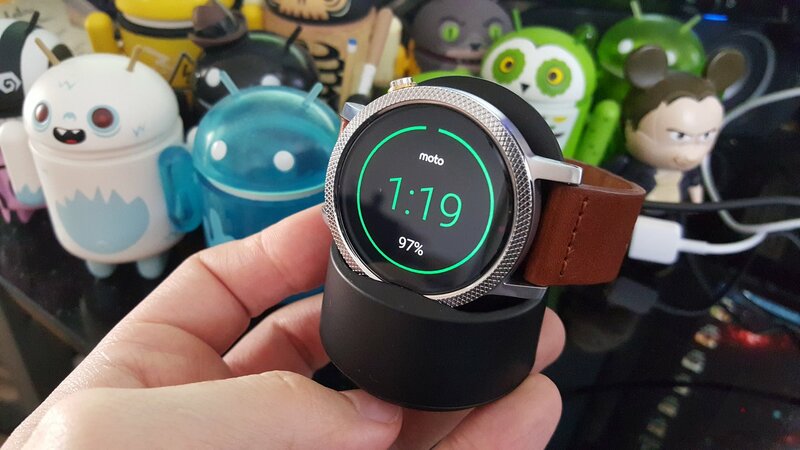 With ambient mode, tilt-to-wake, and all notifications enabled, the Moto 360 loses about 4% battery per hour for me. So, you're looking at a solid 24 hours. That's exactly what Motorola promises on this device with ambient mode on. This is what I'd consider sufficient for a smart watch, and keep in mind I'm using the smaller 42mm version. This one has a 300mAh battery, but the 46mm watch is 400mAh. If we extrapolate based on the smaller watch (I make no promises regarding the accuracy of this analysis), the 46mm watch should manage about a day and a half of use with ambient mode on. The switch to the Snapdragon chip has made all the difference for the Moto 360. I don't have range anxiety with this watch like I did with the first gen one. Another benefit, the Moto 360 v2 still uses Qi wireless charging, so there's a chance that you'll have a few compatible chargers. Most watches have some version of a pogo pin dock, which you need to purchase for $20 or so if you want a spare. I've tested the 360 on a few third-party Qi pads and it seems to like them. 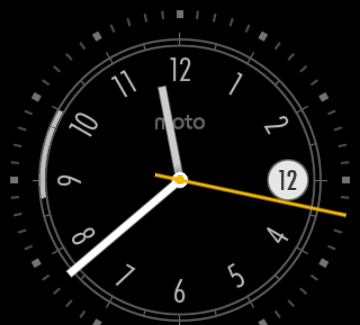 As with all the other Wear watches out there, the software on the new Moto 360 is bone stock Android Wear. There are still a few things to talk about, though. OEMs like LG or Asus add a handful of custom apps to Android Wear, but Motorola only has one included service called Moto Body. This is a fitness tracker that has a phone companion app. 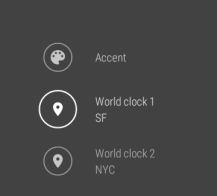 Every watch seems to do something like this, even though Google Fit is a thing. There's nothing wrong with Moto Body, though. 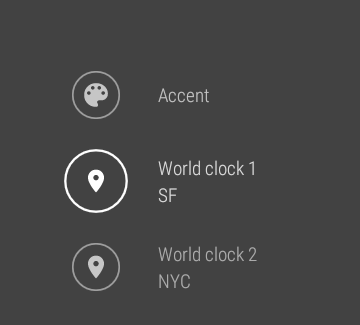 You can set it as the default for heart rate and step counting in the Android Wear settings if you like. Motorola switched to a Snapdragon 400 for this year's watch, and the performance is much better than the original 360. However, I am noticing a bit of stuttering from time to time. You probably won't see it unless you have a particularly snappy Wear device handy to compare directly. I'm looking at a Huawei Watch side-by-side, and the Huawei is smoother. The Moto 360's performance is still in-line with other Wear devices, though. 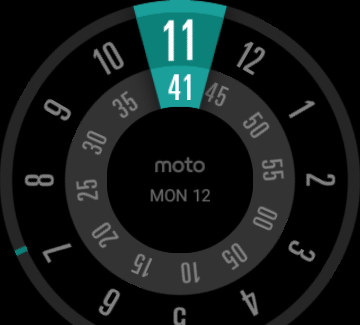 There are 15 custom Motorola watch faces on this device (see above for a few examples). That's not as many as you get on the Huawei Watch and far fewer than on the ZenWatch 2, but Motorola's are simply better. 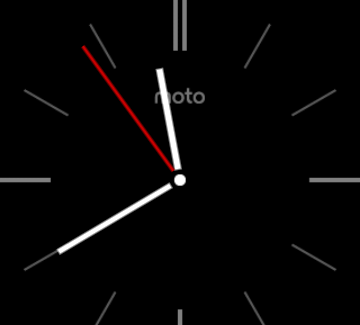 I still think the 360 has the coolest included watch faces of any Wear device. The designs range from fully digital to analog imitations of real watches, but they're all very clean and smartly designed. Most of the faces are customizable, and those with complications are actually useful and easy to read. Note to other smart watch makers: I don't need a tiny hand to tell me the day of the week, you can just use letters to spell it out. 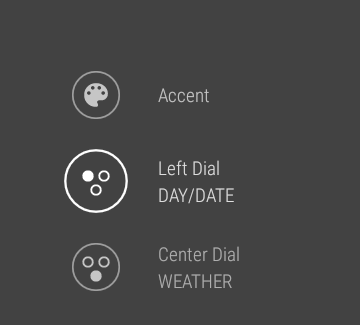 I love that Motorola has included all of the customization features on the watch itself, so you don't need to use the phone to configure the faces. See above for a few example screens of how in-depth this can be. Motorola gets this. 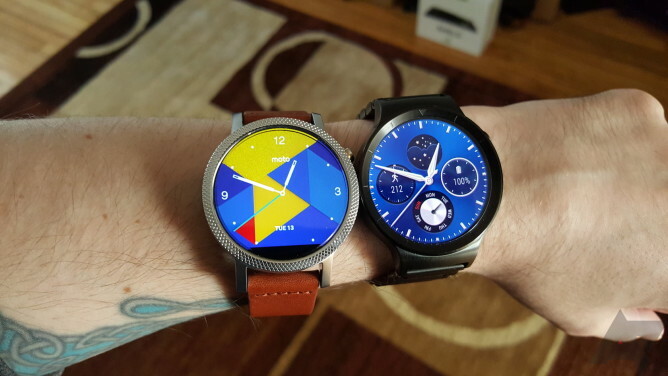 The second generation Moto 360 is what I wish the first one would have been. It looks more like a real watch than any other Android Wear device, even the Huawei Watch. It's thin and light enough that it doesn't stand out in a bad way, but it looks stylish even in its default form. Smart watches are more of a fashion accessory than a phone is, but I'll say that I personally love the design of the Moto 360. It has clean lines with a few nice touches like the beefy lugs and optional knurl pattern that I absolutely dig. From a comfort standpoint, it's the best smart watch I've ever worn. I really can't oversell this point. The positioning of the lugs in relation to the body keeps the band close to my arm, whereas even the Huawei Watch leaves large gaps because the band connects farther out from the body of the watch. Those with small wrists will definitely appreciate this design on the smaller 42mm 360. The 46mm watch has the same lug design, so it should be similarly comfortable for those with average wrists. If you customize the watch with Moto Maker, you can get a distinctive piece of personal technology that matches your style. 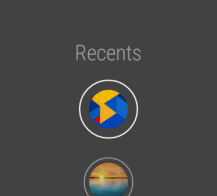 No other Android Wear device has anything approaching this level of customization. With other watches, you just have to wait for one of three or four SKUs to show up for sale and make do with that. Maybe you can get a different band, but that's all the customization you get. One thing you can't customize is the screen—it's all flat tire all the time. This continues to be the worst part of the 360's design. It's a bummer, but it was a bummer last year too. If this is what's necessary to make the incredibly slim body of the watch possible, I guess I'm willing to accept it. I'd understand if you didn't, though. Aside from the flat tire, it's a lovely LCD with amazing viewing angles and clarity. You just have to be careful with the watch faces you use to avoid accentuating the shape. Now that we're a few years into this smart watch thing, I think it's getting harder to justify a $300-400 base model. These devices are not essential yet, and the hardware in 2015 is almost identical to 2014 watches. The Moto 360 v2 starts at $300, which is $50 less than the Huawei Watch. If Motorola had managed to get the cost down to $250 (the price of the original 360), I think it would be easy to recommend this watch. As it is, you have to really be into the slim design and customization to justify $300. That said, owners of the first-gen 360 might want to consider this as an upgrade. It's a vast improvement.